You will find below the horoscope of Dominique Issermann with her interactive chart, an excerpt of her astrological portrait and her planetary dominants. If you know the time of birth of Dominique Issermann, we would appreciate it if you would send us your information with your source, at stars@astrotheme.com. To thank you for contributing to the enhancement of our astrological database, we shall be glad to send you the astrological portrait (34 pages) of this celebrity. Horoscopes having the same aspect Sun sextile Uranus (orb 2°05'): Rihanna, Cristiano Ronaldo, Sophie Marceau, Zac Efron, Isaac Newton, Bruno Mars, George Michael, Jean-Claude Van Damme, Aleister Crowley, Zooey Deschanel, Jeff Buckley, Alexander Skarsgard... Find all the celebrities having this aspect. Horoscopes having the same aspect Moon square Mars (orb 2°08'): Mahatma Gandhi, Pink (singer), Abraham Lincoln, Nicolas Cage, Jessica Simpson, William Shakespeare, Kat Bjelland, Jean-Pierre Danel, Walt Disney, Keith Richards, Al Capone, Erykah Badu... Find all the celebrities having this aspect. Celebrities clicked on in real-time: 576,890,884 times. Dominique Issermann, born April 11, 1947 in Paris, is a French photographer. She has been the girl friend of singer Leonard Cohen. Here are some character traits from Dominique Issermann's birth chart. This description is far from being comprehensive but it can shed light on his/her personality, which is still interesting for professional astrologers or astrology lovers. 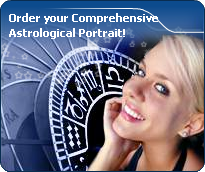 In a matter of minutes, you can get at your email address your astrological portrait (approximately 32 pages), a much more comprehensive report than this portrait of Dominique Issermann. Warning: when the birth time is unknown, which is the case for Dominique Issermann, a few paragraphs become irrelevant; distributions in hemispheres and quadrants are meaningless, so are dominant houses and houses' accentuations. Therefore, some chapters are removed from this part. Dominique Issermann, Fire is dominant in your natal chart and endows you with intuition, energy, courage, self-confidence, and enthusiasm! You are inclined to be passionate, you assert your willpower, you move forward, and come hell or high water, you achieve your dreams and your goals. The relative weakness of this element is the difficulty to step back or a kind of boldness that may prompt you to do foolish things. The predominance of Water signs indicates high sensitivity and elevation through feelings, Dominique Issermann. Your heart and your emotions are your driving forces, and you can't do anything on Earth if you don't feel a strong affective charge (as a matter of fact, the word "feeling" is essential in your psychology). You need to love in order to understand, and to feel in order to take action, to the detriment of a certain vulnerability against which you should learn to fight. The Mutable mode is the most emphasized one in your natal chart, Dominique Issermann, which indicates a mobile character that is curious and thirsty for new experiences and evolution. You are lively and flexible, and you like to react quickly to solicitations, but don't confuse mobility with agitation, since this is the danger with this configuration - and with you, stagnation is out of the question. Security doesn't matter as long as you are not bored. You optimize, you change things, you change yourself... all this in a speedy way. After this paragraph about dominant planets, of Dominique Issermann, here are the character traits that you must read more carefully than the previous texts since they are very specific: the texts about dominant planets only give background information about the personality and remain quite general: they emphasize or, on the contrary, mitigate different particularities or facets of a personality. A human being is a complex whole and only bodies of texts can attempt to successfully figure out all the finer points. Your nature is optimistic and emotional, Dominique Issermann, and you are caught up in two incompatible longings: you are fond of exoticism and independence of movement, but at the same time, you feel comfortable in a form of middle-class attitude and conformism; in general, it translates into a succession of moods, now quiet and well adapted to the situations you experience, now marked by an irresistible desire for change and revival. You have a good and naïve nature, with a lot of self-confidence. Your emotionalism prompts you to live intensely a variety of numerous emotional experiences, a bit scattered, but with all the stimulations you need to be a balanced person. Your pleasant and welcoming attitude wins you some degree of popularity, all the more so because, despite your thirst for adventures that may scare away some people, you adjust to your environment's customs so easily. Compassion and self-sacrifice: you are fond of this romantic mode and you are willing to express your feelings, the intensity of which is unlimited, Dominique Issermann. With excitement and imagination, you dream your amorous relationships as much as you actually live through them. The line between the concrete world and your huge hopes is so tenuous that you don't know anymore where it is, although your particularly rich sensuality prompts you to experience your feelings concretely. You want to share communion and passion with your partner. The lyrical flights of your feelings break from your heart as waves that you do not attempt to control because they give you a real, almost voluptuous and carnal joy. You give a lot – sometimes too much - without reservation, almost without propriety, totally revealing your vulnerability during your amorous exchanges because you are sure of the quality and the might of your feelings: they are so powerful and overwhelming that you are aware that nothing can resist them. You express your energy in a vague and random manner, Dominique Issermann. This is not a handicap, but it prevents you from reasonably planning your long-term actions. You are a bit whimsical and scattered, sometimes hyperactive and willing to devour obstacles with your big shark teeth, but often, you take the easy way out because of your desire for tranquillity. You loathe conflicts and your cleverness and your flexibility allow you to achieve your goals while shrewdly worming your way through difficulties. Your intuition and your imagination are the assets that compensate your lack of efficiency and discipline. You are much more successful when you work for a noble cause, usually a collective one, sometimes political or spiritual ones. On the sexual plane, you are whimsical and impossible to categorize. You are so changing and malleable that you can shift from one extreme to another, according to your partner's personality, because your adaptability and your flexibility are really strong. This text is only an excerpt from of Dominique Issermann's portrait. We hope that it will arouse your curiosity, and that it will prompt you to deepen your knowledge of astrology, as well as to visit and use the wide range of free applications at www.astrotheme.com. Your Life Path is influenced par the number 9, Dominique, the path of travel and transcendence. You know how to take a new look at yourself and how to broaden your horizon. You are driven by the thirst for achievements and you cultivate the sense of the sacred and of sacrifice. Life teaches you to constantly push further the limits of your ego. Your destiny is based on altruism and devotion. You are very generous and you always listen to people's needs, which is among the reasons why you are very much sought after. You also show little interest in socializing or social futilities. Your spiritual growth means much more than worldly frivolities, even though it means that you have a hard time remaining grounded when you experience difficult circumstances! Your Life Path prompts you to learn, to increase the number of enriching experiences, and to constantly progress. You are interested in intellectual matters, and you set yourself high objectives. Meditation and contemplation are your valuable assets.